Over the course of this project, the team followed a Shared Action Learning model to partner with local residents to develop sustainable solutions to complex community challenges (Jiusto et al., 2015). The team partnered with Vygieskraal residents, FCW employees, and others in a collaborative manner to ensure that all stakeholders were given an opportunity to voice their opinions, and that the actions we took represented the support of the community. The team also developed a mission statement and objectives to guide the project and to identify the overarching goals. Given the nature of this project, ethical considerations were taken into account in all stages of the project. This project explored two outreach models for ECD in under resourced settlements: (1) utilising existing public space for ECD programming and (2) retrofitting a shipping container for use as an ECD resource hub. Established relationships with FCW staff, residents of Vygieskraal, and other relevant stakeholders, to ensure that all project objectives were completed in a collaborative effort. 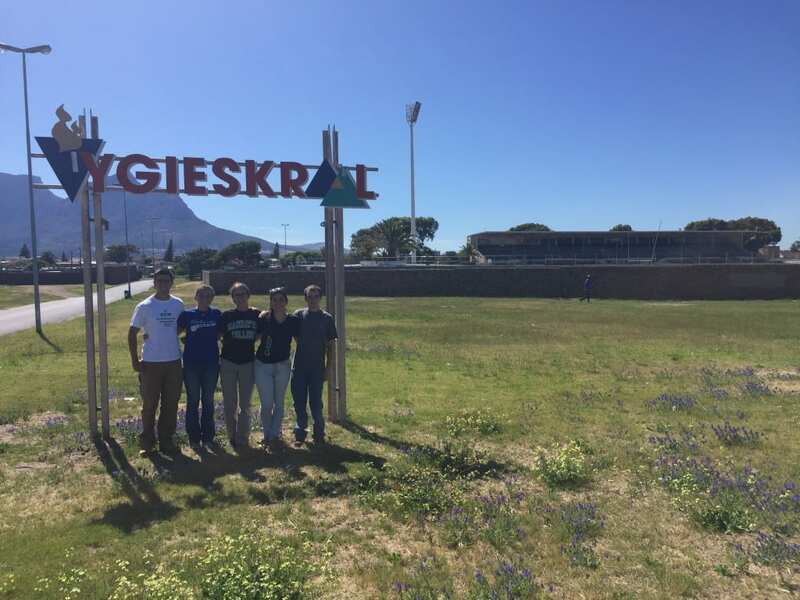 Identified co-researchers from Vygieskraal who were willing to participate in the SAL model of the Cape Town Project Centre (CTPC). 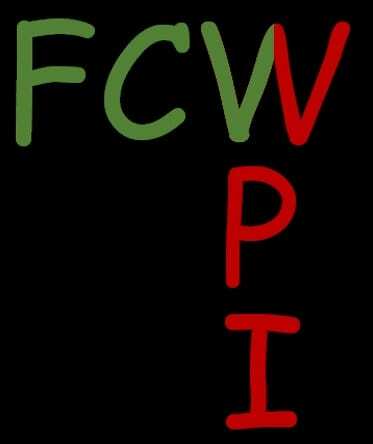 Explored the alternative ECD models proposed by FCW. Partnered with residents of Vygieskraal to explore how caregivers perceived and responded to the proposed model of Utilising Existing Public Space for ECD Programming, when public space entailed an existing building, such as a school or stadium. Assessed the potential of using the ECD resource hub model to supplement ECD in resource poor communities. Met with local ECD organisations to gather feedback. Conducted a phone interview during the preparatory phase of this project with Riedewhaan Allie, Director of FCW, to establish a line of communication and to start building a strong sponsor-group relationship. Met in person with Riedewhaan and other FCW representatives during our first week in Cape Town to begin understanding each other’s motivations and ideas for the project. Explain the topics that were researched in the seven week preparation term. 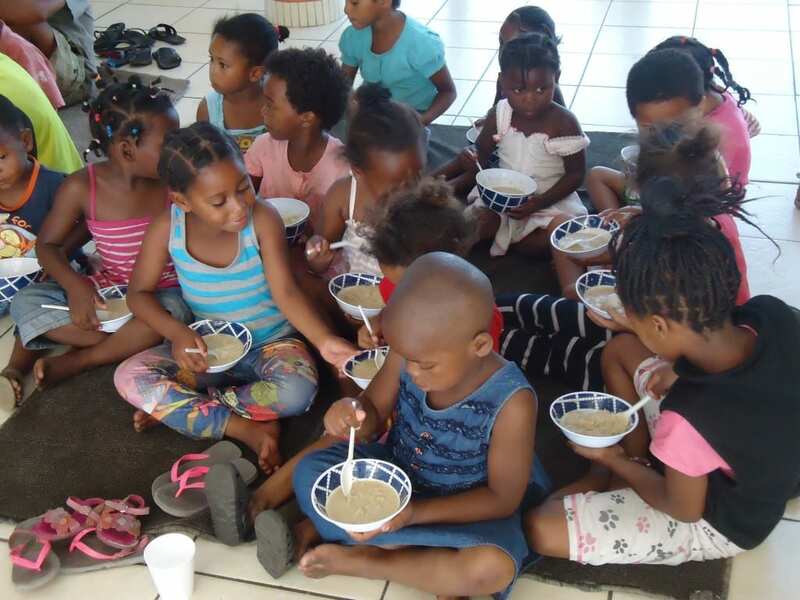 Inquire about the goals FCW has for the ECD outreach programmes. Go over logistics of the project, including time constraints. Learn about FCW’s programmes and the Family in Focus (FIF) outreach model for ECD. Planned a walkthrough in the Vygieskraal settlement to learn about the area and to establish a presence in the community. To get a sense of how we began our relationship with FCW, take a look at Putting it All on the Table, a scene where the team met with FCW staff and our advisors to determine the direction of our project. Spoke to Riedewhaan, FCW staff, FIF home visitors from Vygieskraal, and the stadium manager to inquire about possible co-researcher candidates for the project. Met with committee members from the settlement, who volunteered to work with us as co-researchers. Partnered with residents of Vygieskraal to explore how caregivers perceived and responded to the proposed model of utilising existing public spaces for ECD programming. Talked with our co-researchers from Vygieskraal to understand the various reasons why parents may or may not have attended FCW’s parenting programmes at the stadium. Inquired about any improvements or changes that could be made in order to make the model more successful. Identified some of the challenges that caregivers in Vygieskraal face. Coordinated with FCW to address the opportunities for growth, and adapted FCW’s programmes in an attempt to improve parent participation. Spoke with co-researchers and programme attendees about their thoughts about using the public space model. Researched various shipping container suppliers across Cape Town to compare cost and size options. Explored possible locations to place the shipping container, including the parking lot of the stadium and public areas in the city. Visited TCC Container Services, a shipping container supplier, to get a quote for a 6 by 2 meter shipping container and to inspect the quality of the containers offered. Adapted branding designs that FCW has previously used and consulted with WPI marketing to incorporate the WPI logo into the design, in order to give credit to the organisations involved in the project and make the container visually appealing to the public. Reviewed logistics of purchasing the container with FCW staff and contacted the branding company to confirm branding details. Visited TCC Container Services to hand-pick the shipping container that was purchased, to fill out purchasing paperwork, and to schedule delivery to the FCW office. Determined what resources should be made available in the shipping container by consulting with FCW staff, Vygieskraal Stadium employees, and residents of Vygieskraal. Explored possible layouts for the container through a mock container layout in the FCW office and through the use of a Computer Aided Design (CAD) model. Created an inventory log and sign-out sheets for families and ECD centres that reflect the shipping container contents. Get a sense of how we started working on the idea of using a shipping container as an ECD resource hub in our scene Thinking Inside the Box. Met with local ECD organisations to gather feedback on the proposed alternative models. Spoke with Centre for Early Childhood Development, Early Learning Resource Unit, Grassroots, and Sikhula Sonke about their approaches to ECD. Discussed both the public space model and the usage of a shipping container for ECD resources. Combined our notes from all the organisations into a document that FCW can use for their own purposes. Organised and analysed the two ECD outreach models into a proposal for FCW to use to gain support and funding for these models in the future. Documented a case study of the public space model in Vygieskraal and completed extensive planning for the resource hub model. Organised details about each of the models into a proposal for FCW. This project included discussions and interviews with employees from NGOs and with Vygieskraal residents. Many of these “interviews” actually took place as informal discussions, where all who were present could voice their opinion on the matter. All interviewees were informed that their participation was voluntary, and no participant in the discussion was coerced into answering any question or providing information they wished to keep private. Additionally, all participants were ensured confidentiality, and personal information was kept secret unless the individual gave us permission to use it. In certain circumstances, interviewees were asked permission by the team to have pictures taken of them. Annual reports summarizing past CTPC work, as well as a summary of our project mission statement and objectives, were provided to participants to inform them of our goals and their role in the project. This helped inform community members about our work, so they could understand our goals before deciding if they would like to work with us on the project. Asking informal questions about community members’ role in the community and interests played an integral part in forming relationships between the WPI team and community members. However, it was important to avoid asking specific personal questions and making statements that could create conflict or be inappropriate. The team ensured that the caregivers were at no point pressured into working with us, and that everyone who participated in the programmes did so in a voluntary manner. Working with caregivers presented a unique set of ethical challenges. Interview plans ensured that the rights and autonomy of all participants were respected at all times. Through careful design and consideration, dynamic discussions and programmes were implemented while still considering the rights of the participants.